B21 Lotion Extraordinaire, 4.4 oz. 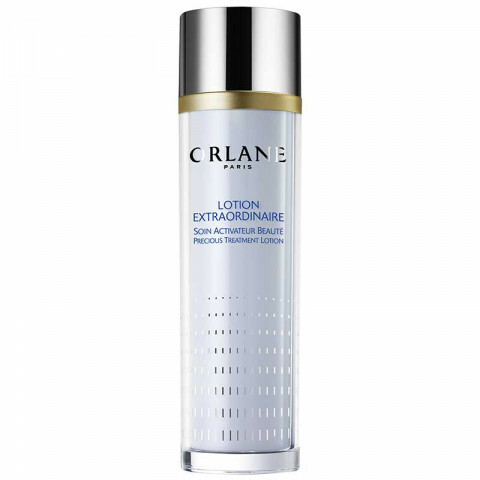 A powerful cellular enhancer, this lotion is THE essential first step in reaching perfect skin. It penetrates the cells and acts like a diffuser of active ingredients into the skin. Contains the Youth reset complex that helps to stimulate the natural skin defense and repairing system AND the 21 Amino acids from the pale blue iris which help to build younger denser skin. A Vegetal moisturizer complex helps to absorb, retain, and diffuse water molecules for continuous moisturizing. Ideally moisturized, wonderfully revitalized, its rich silky formula visibly awakens the complexion, improving texture, and preparing the skin to increase the benefits of every skincare product. A Universal treatment amplifier. From the very first application, your skin is soft, smooth, luminous and perfectly hydrated. Day after day, wrinkles disappear, spots fade, and instant radiance becomes near permanent. Your skin, strengthened from within, is visibly firmer, plumped and vibrant.